Czech wine is not as famous as French, Italian, Spanish, Portuguese or Chilean wine, but it has a rich history and it is a great part of Czech culture. If you like wine, you should definitely taste Czech wine! It is mostly grown in South Moravia, the most popular wine region of the Czech Republic. This region is divided into four sub-regions - Znojmo, Velké Pavlovice, Mikulov and Slovácko. Moravian wine is known for its top quality and Czech producers hold many international awards. They are even very successful in wine breeding so you can taste some new wine varieties - red Cabernet Moravia and André or white Muškát moravský. South Moravia is full of picturesque villages with hundreds of wine cellars. But you don't even need to go there and you can taste delicous Czech wine anyway, just visit one of the top wine bars in Prague! 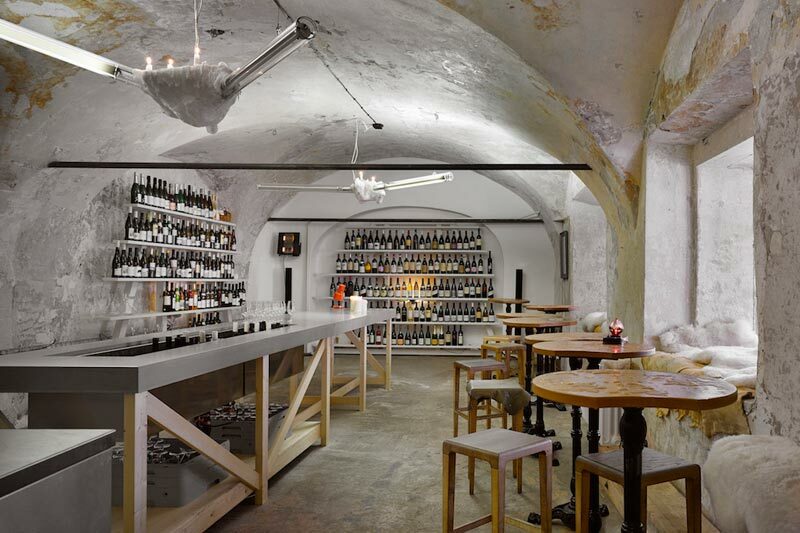 Check our list of the best wine bars in Prague - in most of them you can get also Czech wine. In Mikulanská street, only 3 minutes' walk from our Residence Karolina you can find this winebar with a poetic name (can be translated as "Winebar on a sloping surface"). 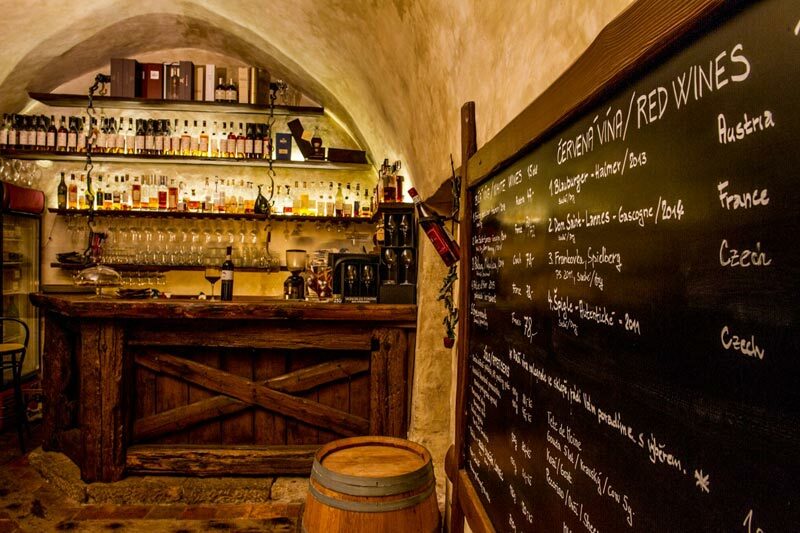 They serve top quality Moravian wines on tap and a great choice of bottled wine from small Czech producers. But you can also get wines from other countries or wine snacks - pickled cheese, variations of salami and sausage, olives or sandwiches. There are three Vinograf Wine Bars in Prague - one in Anděl district, one in Lesser Town (close to the Charles Bridge) and one in the New Town, not far from the Main railway station. The last one is located in Senovážné Square and is also called Velký Vinograf (the Large Vinograf). 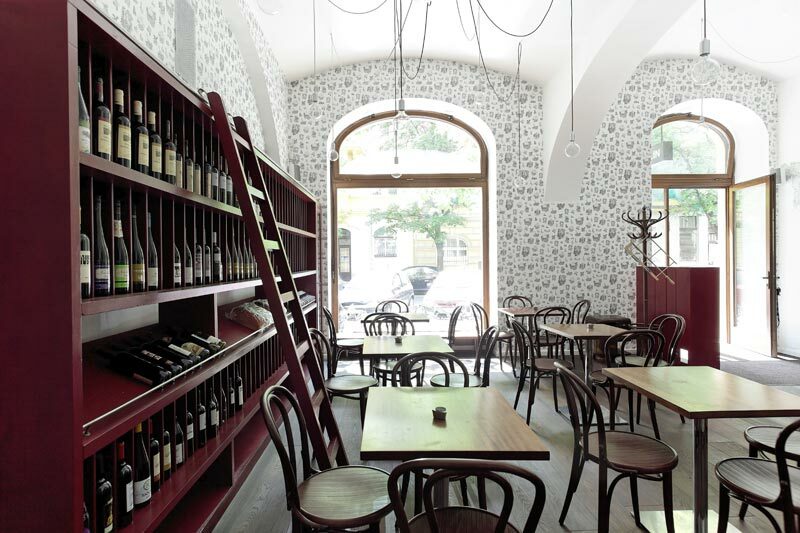 It was awarded as the Best Czech wine bar in Czech bar awards 2014. They offer almost 1000 bottled wines and you can get more than 20 wines by the glass every day. Malý Vinograf (the Small Vinograf in Míšeňská street) is focused on the Czech wines. If you like delicious wine and gourmet food, this is the place for you. Wine bar and restaurant with an amazing atmosphere, only a few steps from the Bethlehem Chapel and our Residence Karolina. The selection of wine is amazing, the staff is very attentive and professional. You can order bottled wine from all over the world, same as a single glass. Koštovna u Počtů is not located in a very center of Prague but it is definitely worth a visit! You can easily get there by tram no. 17 from Národní divadlo or Staroměstská stop. They serve the best wines from Moravia and other parts of the world. Get a wine on tap or one of the bottled wines. You can also taste their strong fruit spirits and wine snacks - cheese, tapas, sausages or steak tartare. Bokovka is a very special place with a unique atmosphere which guarantees an unforgettable visit! 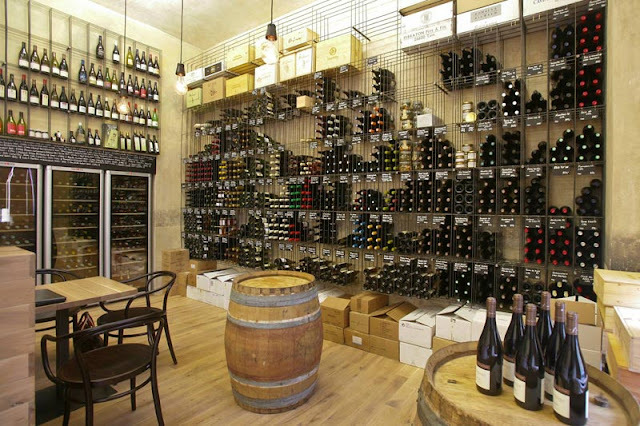 This charming place offers a large choice of the best wines. Service is perfect - very friendly and knowledgeable. If you like cheese with your wine, you won't be dissapointed. They have their own fromagerie with delicous cheese from around the world. You will find it in Dlouhá street, hidden in a courtyard of an old building. 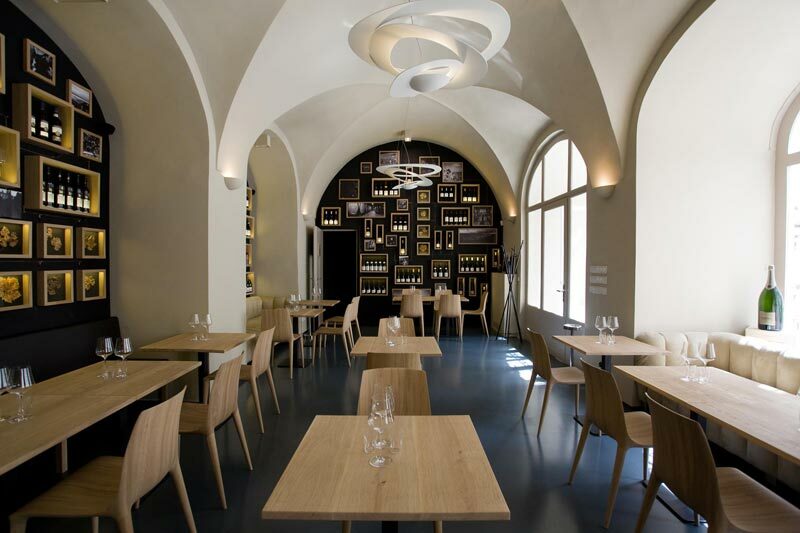 Na břehu Rhôny is not excatly a Czech wine lover's dream but definitely a wine lover's dream! They have four wine bars with the same name in Prague but we will focus on the one in Výtoň, Na Hrobci street, on the Vltava river bank. You can visit it on your way to Vyšehrad or take a nice walk along the river (20 minutes' walk from the Residence Karolina). They serve the best French wines, mostly from the small wine growers from the valley of the Rhône river. Charming place. 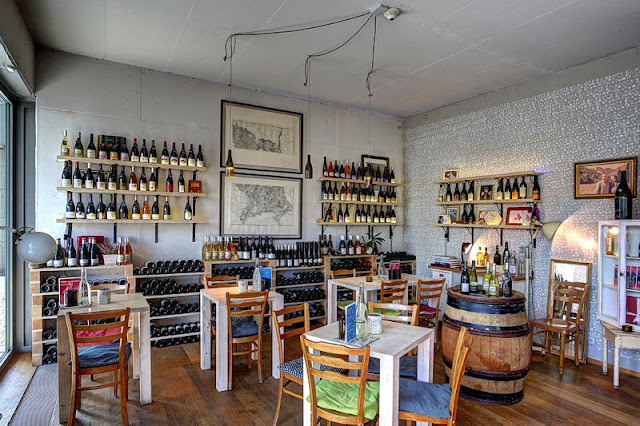 In this stylish wine bar you can enjoy the best wines by glass. Every day guests choose from eight to ten white, red, rosé and sparkling wines from all over the world and also the best Czech wines from Moravia. Or get one of the bottles, if you like. This bar, however, does not only specialize in wine, they also love cognac - try one of 100 types of congnac! As always, you can pair your wine with delicous cheese, olives, pates and other snacks. The bar is located in the Lesser Town, not far from the St. Nicholas Church. 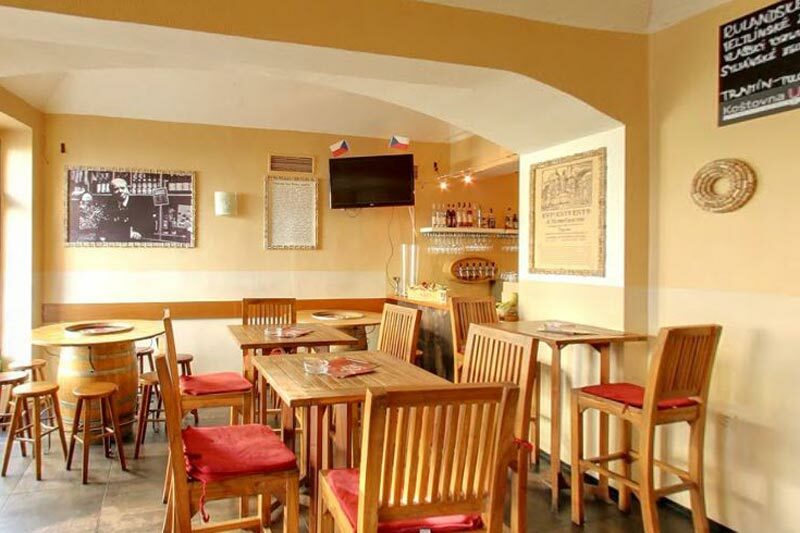 Veltlin wine bar is located little further from the city center, but you can easily get there by metro, take the yellow "B" line to Křižíkova station. You can taste authentic European (mostly Czech, Moravian and Central European) wines from growers focusing on organic wine production without chemical treatment. Very knowledgeable staff will recommend the best local wines! 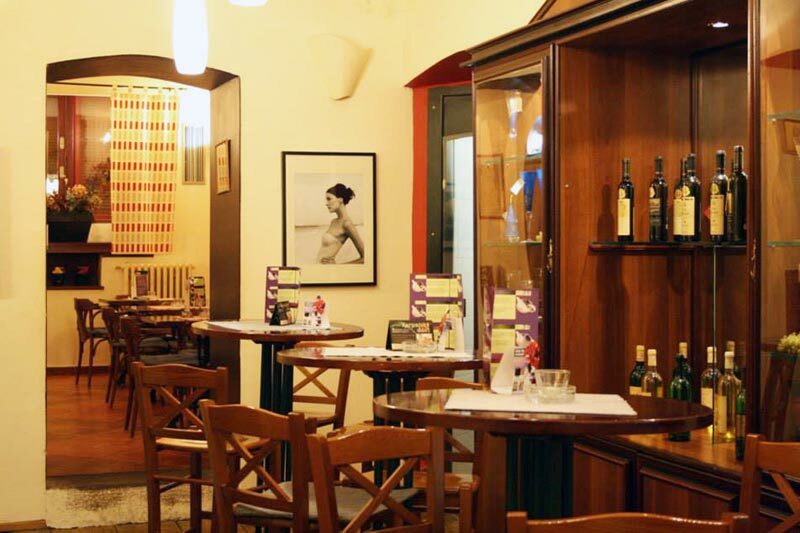 If you want to taste top wines together with delicous Italian meals, visit Bresto. 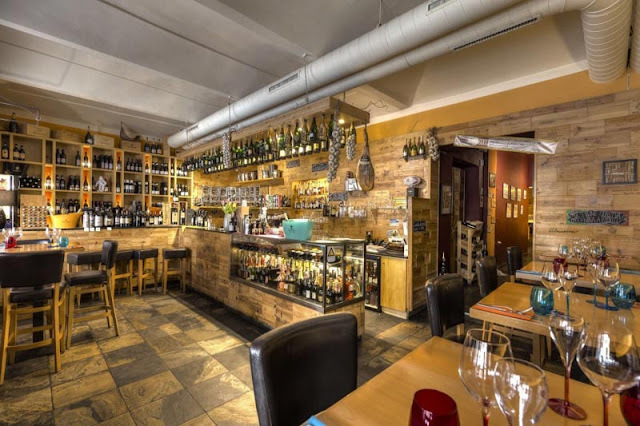 This restaurant and wine bar is situated in the New Town, in Štěpánská street, not far from the very center of Prague. They offer excellent wines from all over the world by the glass, mostly French and Italian, but also top wines from the Czech Republic. On top of that they serve lovely meals, fresh fish, pasta, steaks or desserts. 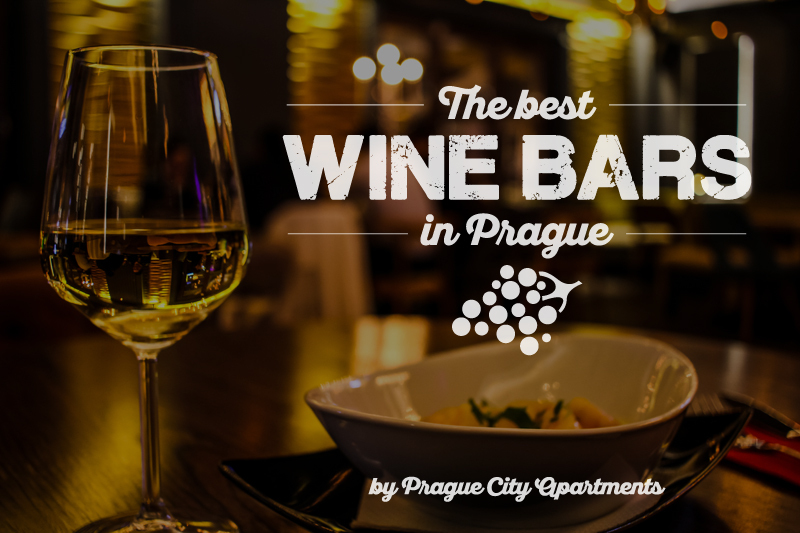 On the way from the Wenceslas Square to the Republic Square, don't hesitate to visit this lovely wine bar. 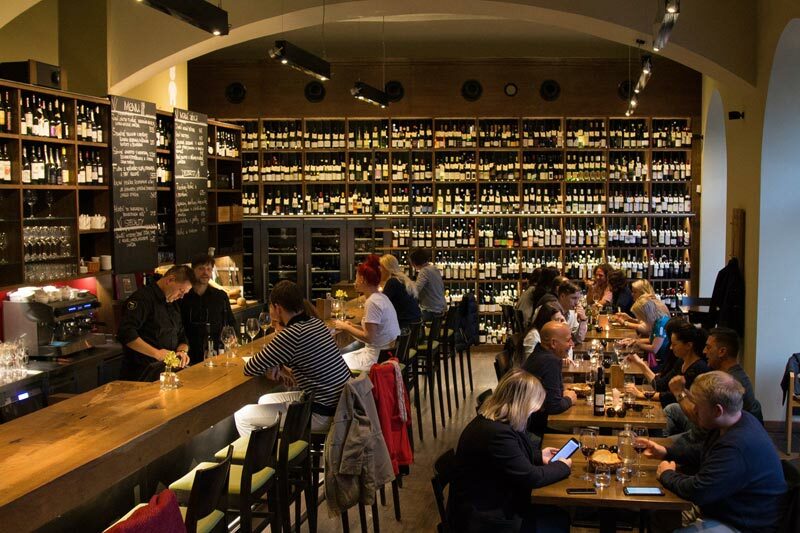 Located in Na Příkopě street it offers a large choice of European wines and snacks, including Prosciutto, almonds or French sausages. Sommeliers are very knowledgeable and ready to help you with choosing the right wine. The interior is really stylish making a pleasant atmosphere. Stop by and enjoy a few glasses or even a bottle. Smart and funny gentleman, who works for Prague City Apartments as a graphic designer, copywriter and project manager.